So, there are a couple of books that I really like that have an odd thing in common. Basically all the books have an animal (or two) that get the upper hand at the end of it. Since I am a librarian, I’m going to talk about them in some sort of order (typically I do alphabetical…but today I think I will choose chronological). And because I am mostly writing this post for myself (and I don’t really think anyone will read it) I’m not doing a giant plot summary. AND I am going to totally spoil all of the endings. So beware. You have been warned. Not only do I love this book…I am excited that the illustrator (DAN SANTAT) is going to be coming to my library next month! So basically I love that this book is all about feelings–yet it is about feelings in such a way that kids who do not like feelings will actually like this book. 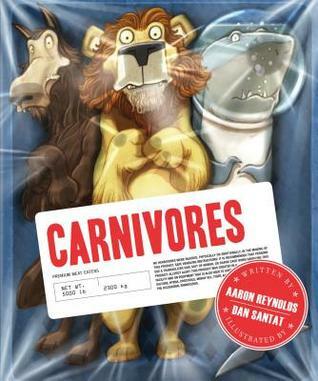 So I love how it is about three carnivores (a lion, a shark, and the big bad wolf) coming to gripes with who they are…and ending up loving themselves for who they are. Plus is it bad to say that I giggle every time I see the cover. I mean, they are “carnivores” and yet they look like they are in a package from the meat department of the grocery store. So I love this book for the ending. I love how you think you know what is going on (the lion MUST be eating those animals) and yet there is something different that really happens. And here comes the spoiler–I love that really the twist is that you were right all along! This is one of those books that I would be ready to pull out when I need to do a boy scout tour at the library or I need to entertain kiddos that are in elementary school. Seriously. The irony of this book makes me laugh. This one is a little different from the first two books. But the ending does have that comical twist that makes me chuckle. 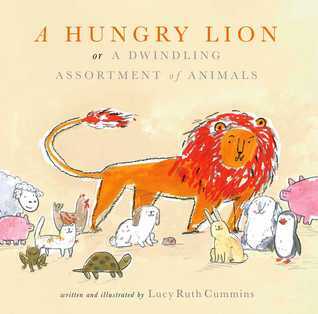 I love how it is all simple and a cute little story about a whole bunch of animals and then along comes this bear and changes the whole day (and the whole ending) for the book. I love how it was inspired by a real thing. 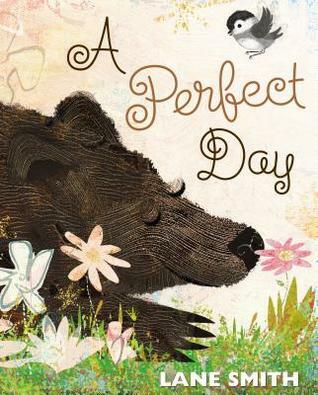 And I love how the bear really did have a “perfect day”. Basically this ending of this story just gets me every time. Love it. Anyway, so these are the three books I want the world to know about. Mostly because all three of them have endings that surprised me the first time I read them (and then the second, third, and fourth times I read them). And the thing is. Books that have a good ending are often hard to find. And good books with good endings are just all that more rare. So basically these books make me happy. Hopefully they will make you happy too. March 10, 2017 in 5 star books, animals, book lists, book review, elementary school, juvenile, picture books.